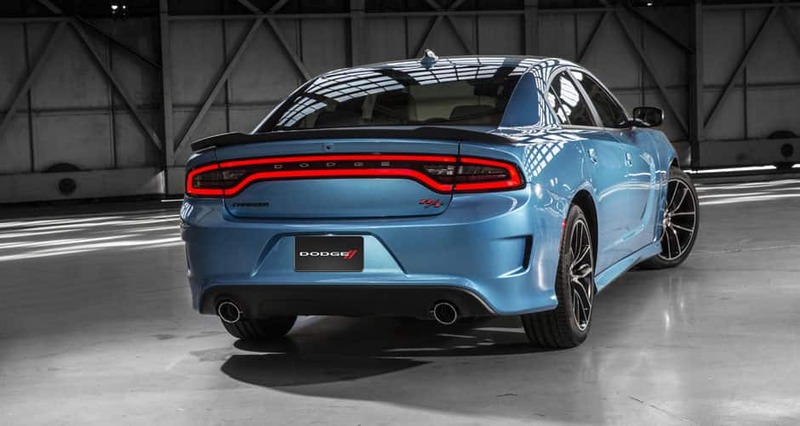 The 2015 Dodge Charger is a car that is difficult to be unhappy with as the only four-door muscle car on the market. People are pleased with the 2015 Dodge Charger's personalizable appearance because eight color and trim combinations are available. For 2015 prospective buyers will see an interesting design for the interior to ride in more style than ever before. Different models are available. It is also now possible for owners to lock the vehicles when they are not near them. It is difficult to be disappointed with how these vehicles travel. V-8 and V-6 engines are both available. In particular, a Supercharged 6.2L HEMI® SRT Hellcat V8 engine is offered with certain models. The vehicle has a gas tank that holds up to 18.5 gallons, which causes the car to travel up to 570 miles without refueling. The vehicle runs up to 31 mpg highway, so it is great on gas. Up to 707 horsepower. An electronic shifter allows the driver to smoothly shift between gears. Three different steering modes are available: Sport, Normal, and Comfort. As mentioned, the car has recently undergone some changes to make for an even better car than previous models. These sports cars are also muscle cars: cars with great engines. These are also the world's only four-door muscle cars. The cars have Dodge LED racetrack speedlamps, sturdy aluminum hoods, three-spoke steering wheels, Wi-fi and Uconnect via Mobile to listen to internet radio stations while driving. If you are looking for a sports car with style, then this may be the vehicle for you. The most important safety feature is a button to talk with emergency 9-1-1 responders. Crumple zones redirect energy away from occupants in a crash to limit the accident's impact. Forward Collision Warning-Plus brings the vehicle to a complete stop when an accident is inevitable. Finally, ParkSense alerts the driver of when they are about to hit moving objects near the car. The 2015 Dodge Charger has many safety features, and coupled with its' comfort create an ideal vehicle for many. No wonder the 2015 Dodge Charger is a leader in car sales today.